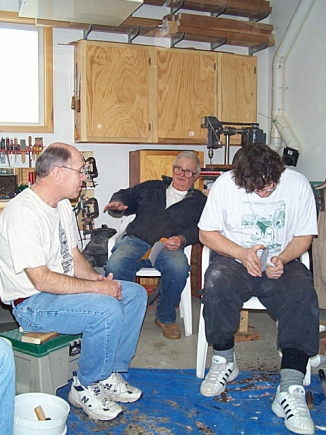 At right are Tom Pedlow, Bob Marble and Dana Klein. 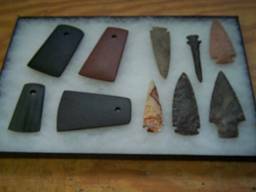 A frame of Tom’s impressive Columbia River Gem point reproductions are displayed at far right. At left is yet another frame of Tom’s fine reproduction pendants and points. 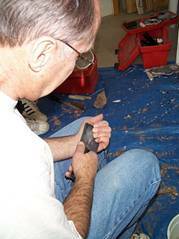 A true craftsman, Tom is known for his accurate NY point types reproductions made of Onondaga chert and also for his woodworking skills. 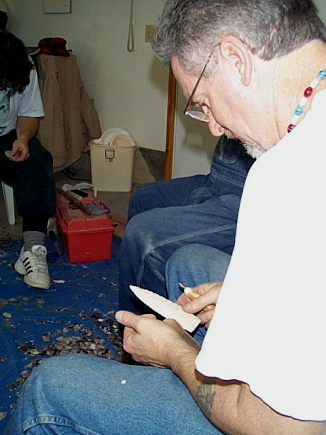 At left, Ken Wallace works on a blade of Burlington Chert. 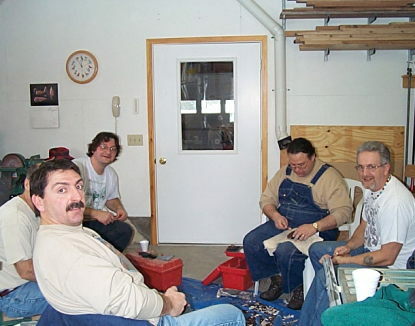 At Right are some of the Genesee Valley Knappers Association regulars: Dan Long, Dana Klein, John Cappellini, and Ken Wallace. 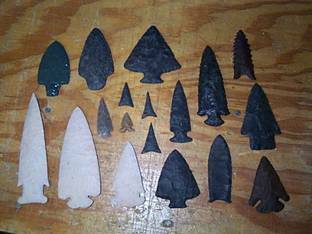 Some of the points produced during the day: Top row– Glass Adena by John; Adena, Perkiomen Broad, and Archaic Bevel points of Onondaga chert by Jim; Dalton of Rainy Buttes by Dan. 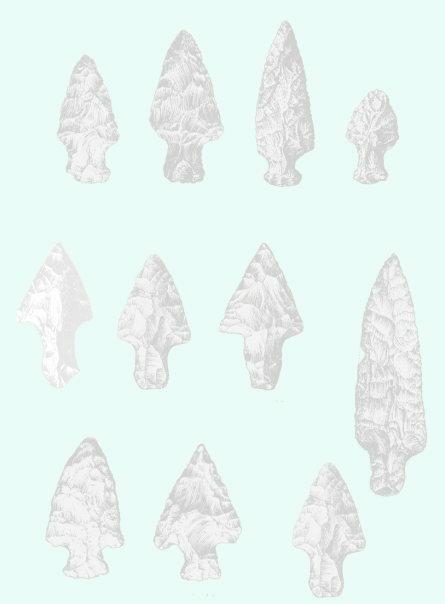 The six smaller points in the middle were all made by Tom Pedlow– the Madison style triangle points are exceptionally thin and well made. Onondaga Genesee point at far right, middle row by Dan. Bottom Row: Hardin Knobbed, Dovetail, and E-Notch of Burlington chert made by Ken. Perkiomen and Clovis of Onondaga also by Ken. 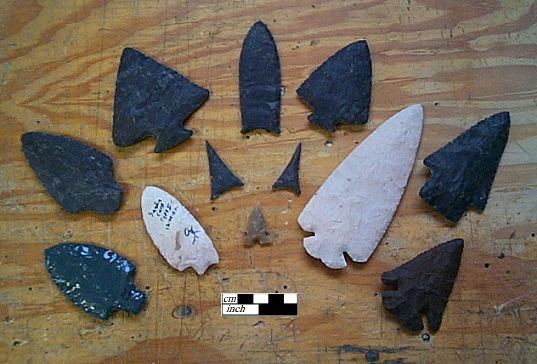 Thebes point of Rainy buttes by Dan. 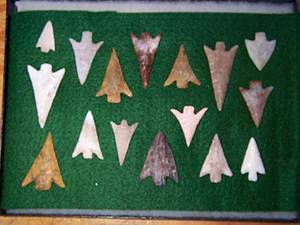 Click here for another picture of some of these points including a Sandia mono-shouldered point by Dana Klein.